FAYETTEVILLE, NC (WTVD) -- A second man wanted in connection with a fatal shooting that happened August 26 has been arrested. Jalyn La-Scott Phillips, 19, was taken into custody by the U.S. Marshals Service with the assistance of the Sampson County Sheriff's Office. He was charged in relation to the fatal shooting in August at 690 South Reilly Road, in the parking lot of Carlie C's. The other suspect, 20-year-old Izaiah Jamal Blue, was arrested November 8 by U.S. marshals, also with the assistance of Sampson County deputies. An eyewitness told ABC11 at the time that Lunsford was shot in the arm and Nuriddin was shot in the chest. Both victims were transported to Cape Fear Valley Medical Center where Nuriddin later died. 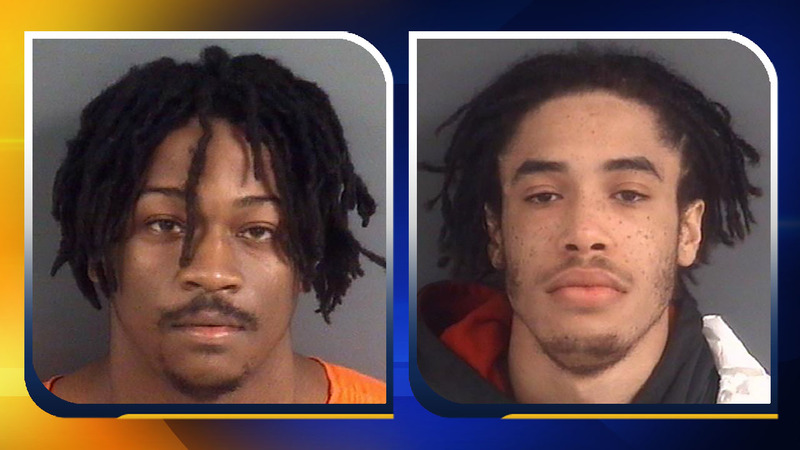 Blue and Phillips, both of Faison, have been charged with first-degree murder, attempted first-degree murder, assault with a deadly weapon intent to kill inflicting serious injury (AWDWIKISI), robbery with a dangerous weapon, and felonious conspiracy to commit robbery. Phillips and Blue are both being held at the Cumberland County Detention Center without bond.